Take a look at these easy ways to reduce paper consumption in your office. 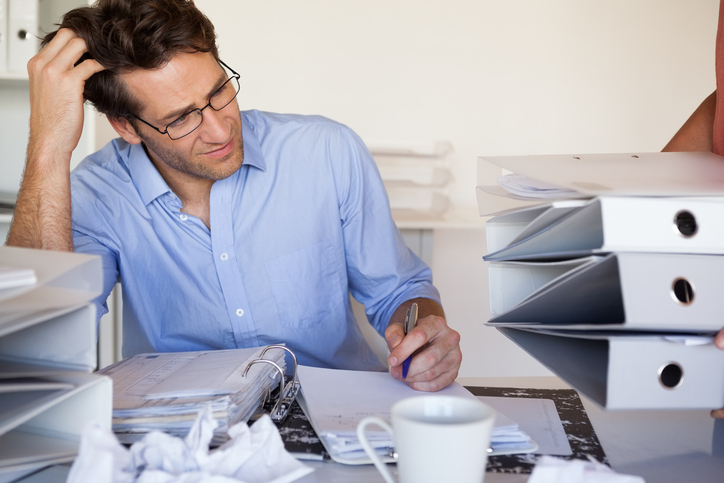 Everyday office tasks can become burdensome when paperwork begins to pile up. The paperless office movement will not be going away anytime soon, so now is as good a time as ever to make the transition! Replacing papers with digital document versions is more environmentally friendly and will eventually save you valuable time and money. Think of the clutter you can get rid of, as well as protecting your important data. It seems like a daunting task, but you don’t need to go completely paperless right away. Instead, you can pick and choose some options that would be best for you and your employees to decrease your office’s paper usage. Bring your office into the twenty-first century by investing in scanning your documents. Buy your own document scanner and streamline your business. Investing in your very own document scanner allows you to keep up with paperwork that you do not necessarily want to go paperless. Keeping a digital copy of your documents is vital in order to make sure important documents do not go missing. If you do not want to purchase your own document scanner, have no fear! Micro Record can take this work over for you. Save precious time and hand off your documents to us; we can create a digital database where you can access all of your paperwork in one convenient place. Document imaging is a bit different than document scanning is, but it can help your office is much the same way. Document imaging can transform any sort of paperwork into a digital file that can be organized in whatever way would be easiest for you! You can store your files in a remote location or even on the internet, so you can access them anytime, anywhere. Document imaging allows you to backup your files so you can be confident you won’t lose any important data. Streamline your business by investing in a fax machine. Fax machines give you another way to communicate with clients or with other offices, which can increase business and productivity. With an e-fax, you can send documents to your email in PDF format in order to standardize all paperwork so that it is all saved in the same digital format. Go Paperless with Micro Records! Whether you’re ready to dive into a 100% paperless office, or you just want to get your feet wet with digital documents, Micro Records is here to help. Our products can get you on the right track; if you would like to learn more about how we can help you transition to a paperless office, call us at 877-410-SCAN or visit MicroRecord.com. Also follow us on Facebook, Twitter, LinkedIn, Google+, and YouTube as well for information, updates, and tips on keeping your business digitally up to date. This entry was posted on Friday, March 2nd, 2018 at 8:41 am. Both comments and pings are currently closed.